Dr. Saadia Akhtar is the Associate Dean for Trainee Well-being and Resilience in the Office of Well-being and Resilience at the Icahn School of Medicine at Mount Sinai in New York City. She is also the Associate Dean for Graduate Medical Education and the Program Director for the Emergency Medicine Residency at Mount Sinai Beth Israel at the Icahn School of Medicine at Mount Sinai. She completed a five-year, combined residency in Emergency Medicine and Internal Medicine at Beth Israel Medical Center in New York City. Dr. Akhtar is nationally recognized for her work with several organizations and activities. She is a Past President for the Council of Emergency Medicine Residency Directors (CORD). She is an Oral Board Examiner for the American Board of Emergency Medicine (ABEM). She is also a faculty member for the inaugural 2018 American College of Emergency Physicians (ACEP)-CORD Resident Teaching Fellowship. 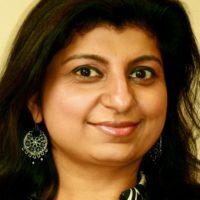 Dr. Akhtar has received several national awards for her dedication to medical education, emergency medicine and community service, including the prestigious 2018 ACGME Parker J. Palmer Courage to Teach Award for Program Director excellence and the 2018 Council of Emergency Medicine Residency Directors (CORD) Michael P. Wainscott Program Director Award.